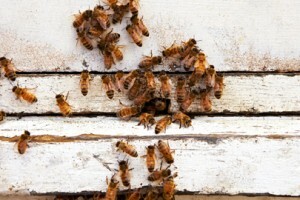 Home | Farmgate Honey Farmgate Honey Home Farmgate Honey | Bees are Sweet! Love Honey? So do we! Farmgate Honey is run by Murray Arkadieff and is based in Brisbane Qld. Since he was a boy, Murray, has loved beekeeping and the Australian outback. At the age of ten he asked for a smoker and hive tool for Christmas, which he received, and has never looked back. After completing University and trying the office life for two years Murray found the calling of the Australian outdoors with its dust and gum leaves too much and headed back to the family bee business. In the winter months Murray operates Flamingrate Firewood providing quality aged ironbark firewood for Pizza ovens, pot belly stoves and camping firewood in the Brisbane area. Working closely with his father, Len and mother, Mary, of Golden Ark Honey they now run over 1200 hives in a 500km radius of Brisbane searching out the best honey crops they can find and providing bees for pollination. The close knit family operation has used every bit of its combined 70 years beekeeping experience to bring honey, wax, comb honey, pollination services and the bee story to the public. 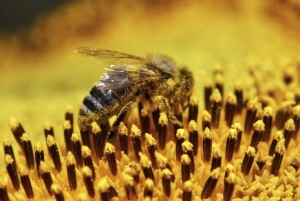 Murray has also worked bees with some of the largest beekeepers in Canada, England and the USA. Above all it is the call of the dust and gum leaves in the Australian outback and the challenge of the keeping bees in such a tough environment that drives their commitment to the industry. From flood to drought, urban jungle to desert this country delivers many challenges to beekeepers making it a job like no other.